The Central Government announced on Sunday that it is planning to issue application forms for 60,000 Fuel stations across the Country to be operated through Dealers using the trade name of the Three Oil Marketing Companies (OMCs) Indian Oil, Bharat Petroleum and Hindustan Petroleum. There are already 62,000 (and counting) fuel stations across India which retail Petrol, Diesel and allied products while a bunch of them also retail CNG for commercial vehicles. About 10% of these stations are operated by private players such as Shell, Essar, etc. It is a remarkable feat that the world’s highest fuel retail station is in India at the Ladakh region of Jammu & Kashmir in the Himalayas which is a favourite among auto-enthusiasts. As in the past, prospective applicants need to apply online and pay an Ernest deposit to the OMCs which would be followed by a lucky draw. And those who win would be awarded the contracts and assistance provided by the respective agencies in setting up the outlets while those who didn’t qualify would be refunded their deposits. While this generous move by the BJP Government is seen as a positive measure since no such new contracts have been issued in the past four years, critics have dubbed this as a meaningless move with spiralling fuel costs and dwindling vehicle sales over the past two quarters this financial year and a mere public-pleasing stunt ahead of the upcoming National Elections in May 2019. So, the verdict is split. It costs a whopping Rs. 1.5 – Rs. 2 Crore to set up a Fuel Station spread over 5,000 sq. ft in the name and style of the OMCs while the cost is more than double for private players like Shell who have stricter norms towards the setting up of the outlets. The biggest challenge for setting up a Fuel Station has been land acquisition, especially on National & State Highways which have seen a 10-fold increase in vehicle traffic over the past decade, thanks to better roads, lower cost of acquiring personal vehicles and a generally heightened mood for vacations and road trips. Being an avid traveller and a terrific lover of road trips myself, starting with my beloved Hyundai Santro in 2005 till the new age Mahindra XUV500 (I upgraded to an Automatic from the previous Manual this March), I have personally seen how the entire ecosystem has evolved over the past 15 years or so. 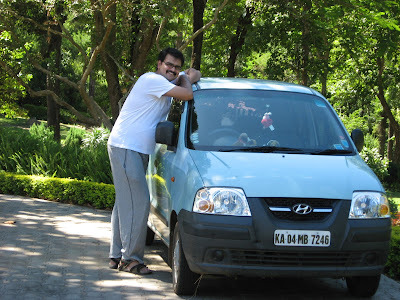 In fact, I plan my trips now, whether short or long depending on the wayside amenities that I could use, from rest rooms to coffee shops, meals to speciality snacks and of course the need for service centres, local vehicle mechanics and Authorised Service Centres, etc. 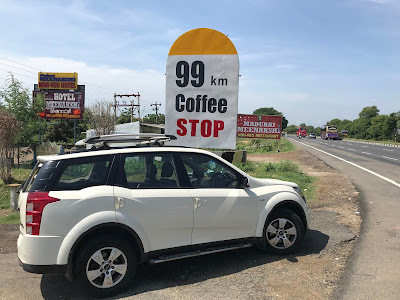 The need for such pitstops vary when I travel solo or with family and of course based on the number of hours we travel at a stretch. My pet peeve on highway travel has been the lack of good quality toilets (well, good is a relative term, so!) and clean and hygienic food outlets which have somewhat been fulfilled at least across Tamil Nadu Highways which I frequent the most by road. While only a handful International and National Retailers such as Café Coffee Day, KFC, Mc Donalds and A2B have scratched the surface of the opportunity of Highway Travel Retail, there seems to be an enormous opportunity that lays ahead of us. I see these upcoming 60,000 new Fuel stations (many say only 1/3rd of all locations proposed actually turn up in reality) as nothing other than Retail Centres, where apart from filling Fuel, one can have various other retail offering from food outlets like cafes to speciality restaurants, shops selling snacks, fruits and condiments for the journey ahead and of course, wayside motels for a quick overnight stay for tired drivers and their families. Reliance Retail with their Fuel stations did come up with some of these models way back in 2006-07 but the whole effort slowly dwindled due to decentralisation of Fuel prices and today, they remain large parcels of land ready for an explosive growth. These fuel stations (and Retail Centres) could be beneficial not only for travellers but also for the nearby towns and villages, generating sustainable employment and entrepreneurial opportunities. I am writing this sitting in the back seat of a Bolero travelling on work and just stopped at a highway shack where I had a glass of Coffee. I see a new Retail Centre coming up closely (when I close my eyes).